(Middletown, CT) Chairman Gregory Shook of the Middlesex County Chamber of Commerce announced that the 2016 Women in Business Leadership Conference, Luncheon, and Health and Wellness Fair will be held on Thursday, July 28, 2016 at the Radisson Hotel Cromwell. This event, sponsored by Citizens Bank, brought to you by RJ Julia Booksellers, and presented by the Women’s Business Alliance (WBA), will feature a full day of learning, growing and networking. 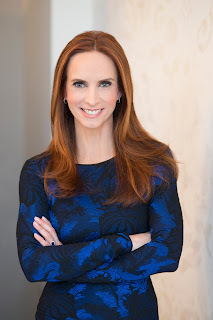 The luncheon portion of the event will be headlined by keynote speaker Faith Salie, an Emmy-winning contributor to CBS News Sunday Morning and a panelist on NPR's Wait Wait...Don't Tell Me! She also hosts the PBS show, Science Goes To The Movies. As a commentator on politics and pop culture, she's been interviewed by the likes of Oprah Winfrey, Bill O'Reilly, and Anderson Cooper. As a television and public radio host, she herself has interviewed newsmakers from Lorne Michaels to President Carter to Robert Redford. “Approval Junkie” is a collection of daring, funny essays chronicling the author's adventures during her lifelong quest for approval. Signed copies of Faith’s new book, “Approval Junkie: Adventures in Caring Too Much,” will be included for registrants of the conference. This important chamber event will also feature appearances by Dr. Gina Barreca and Grace Killelea. Dr. Barreca is a well-known and successful author in addition to being a Professor of English and Feminist Theory at the University of Connecticut. Dr. Gina Barreca has appeared on 20/20, The Today Show, CNN, the BBC, NPR and Oprah to discuss gender, power, politics, and humor. Grace Killelea, a speaker coming to the conference thanks to sponsorship of Comcast, is a sought-after leadership coach, speaker and consultant and author of “The Confidence Effect.” Her cornerstones of professional development focuses on the four R’s: Reputation, Relationships, Results and Resiliency. Prior to launching Grace Killelea Consulting in 2012, Grace served as Senior Vice President of Talent for Comcast Cable Corporation, a Fortune 50 company headquartered in Philadelphia, where she led talent acquisition and talent management supporting executive search and diversity initiatives. Master of Ceremonies for the event will be Kara Sundlun. Kara is a two time Emmy Award winning news anchor and talk show host at WFSB-TV. She hosts the popular daytime talk show Better Connecticut with Scot Haney. Kara has covered some of the biggest stories of our time, and is also the author of her inspirational memoir called Finding Dad: From Love Child to Daughter, where she shares the story of meeting her biological father when she was a teenager. In 2005, Kara received an Emmy award for outstanding achievement in reporting. She has been named "Best Local TV News Reporter" by Hartford Magazine and recognized by the HBJ in 2006 as Hartford Business Journal's Top 40 under 40. Cost for this exciting event is $99.00 and includes: Continental Breakfast, Health & Wellness Fair, Keynote Luncheon, and autographed copy of Approval Junkie: Adventures in Caring Too Much" by Faith Salie. Please visit www.middlesexchamber.com for registration information and more details. For more information on chamber events and activities, please contact 860-347-6924 or info@middlesexchamber.com. The Middlesex County Chamber of Commerce is a dynamic business organization with over 2,175 members that employ over 50,000 people. We strive to be the voice of business in Middlesex County and the surrounding area.